Joel Sanders Architect with LA-based FreelandBuck have been announced as the winners of an international competition to design the Kunshan Phoenix Cultural Mall, located about an hour west of Shanghai. The project will be the largest to date for both firms. 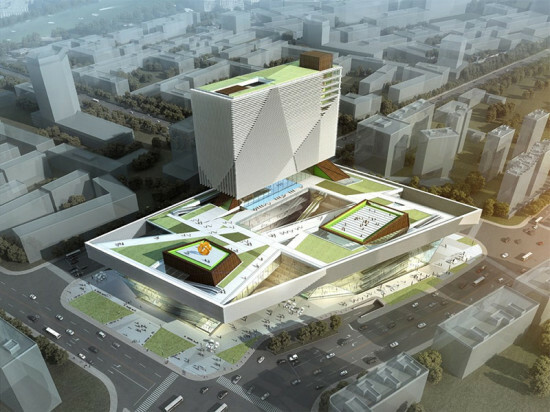 The 262,000-square-foot proposal was designed for Phoenix Publishing and Media Group (PPMG), one of the largest media companies in China. 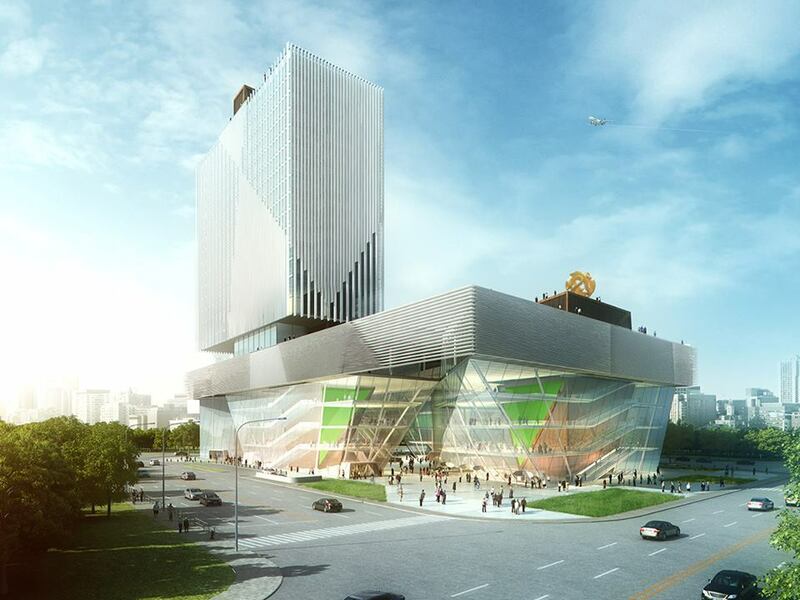 The project consists of a 20-story office tower perched upon a five-story podium, organized around four glass-clad “cultural cores.” Each core houses theaters, exhibition halls, a fitness club, and an educational center. 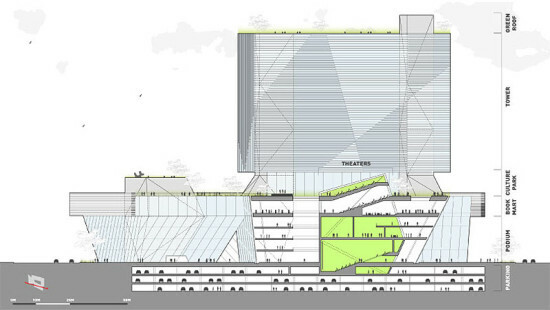 A retail loop—compromised of stores, restaurants, and cafes—spirals around each core. 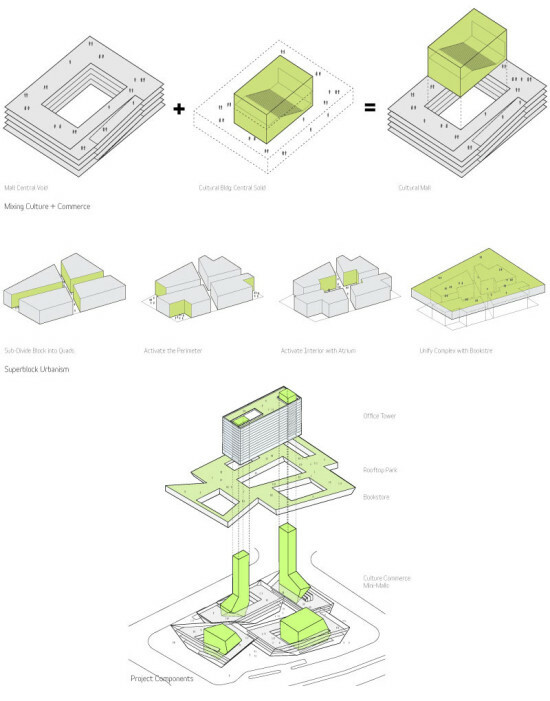 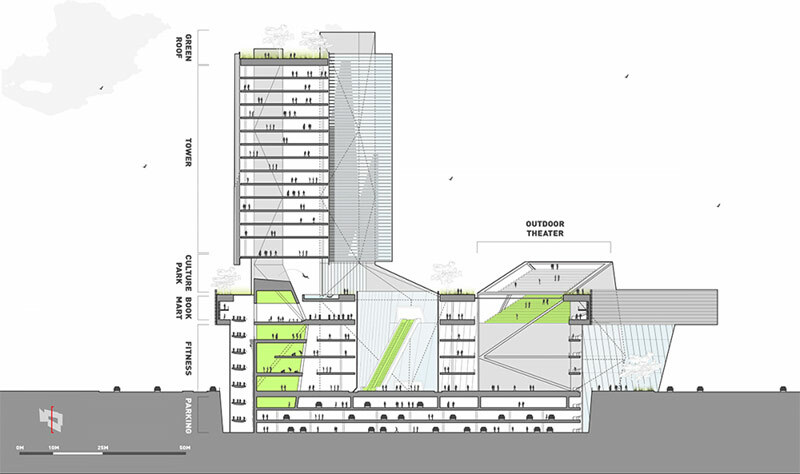 The site’s cores define the perimeter of a central outdoor atrium, dramatically united by an elevated “Book Mart,” whose green roof doubles as both a podium for the office tower and cultural park for the general public. 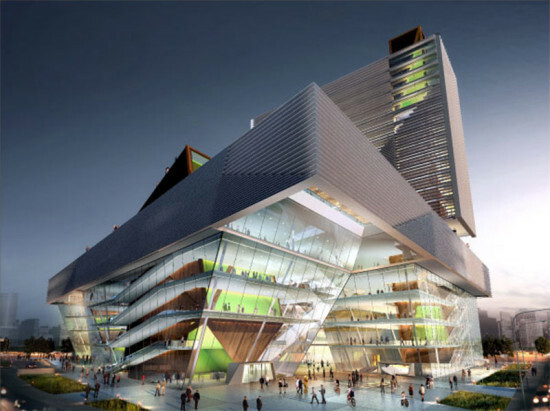 The project’s intricate, louvered facade is an example of FreelandBuck’s focus on computational patterns as a way to generate tectonic shifts in geometry and space. 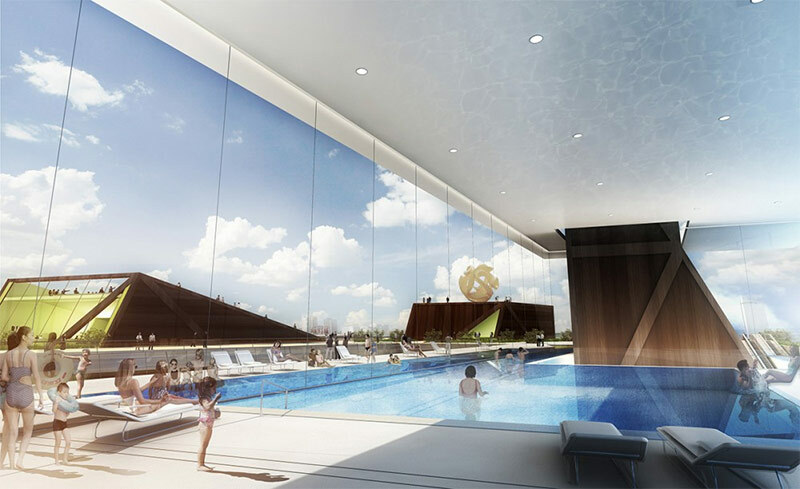 The construction timeframe for the undertaking has yet to be announced.